Bob Padula noted some interesting information on his latest podcast–this was also played on last weeks episode of Wavescan. [In summary] the Shepparton site is still intact and on standby mode yet not staffed and is now Heritage Listed. The property is still for sale yet no knowledge of any bids[…]. Thank you for passing along the update, Ian! This entry was posted in Broadcasters, International Broadcasting, News, Shortwave Radio and tagged Bob Padula, Ian P, Radio Australia, Radio Australia Shepparton on April 3, 2018 by Thomas. The decision to end Australian shortwave broadcasting to the Pacific earlier this year could be revisited. There’s to be a review of Asia Pacific broadcasting services, as part of a wide ranging package of reforms to the country’s media laws agreed to by independent Senator Nick Xenophon. The Department of Communications and the Department of Foreign Affairs and Trade are to conduct a review, including examining whether shortwave radio technology should be used. The review will include public consultation and the report will be made public. Senator Nick Xenophon has been strenuously opposed the decision by the ABC to end shortwave services, and he was a key crossbench figure in negotiations over the media reforms. Click here to read and listen to the interview via ABC News. This entry was posted in Broadcasters, International Broadcasting, News, Shortwave Radio and tagged ABC, ABC Cuts, Ian P, Nick Xenophon, Radio Australia, Radio Australia Cuts on September 19, 2017 by Thomas. ON MAPS, this site was marked as a children’s playground. That couldn’t be further from the truth. When the Chernobyl nuclear explosion happened in 1986, it shook the world in many ways. 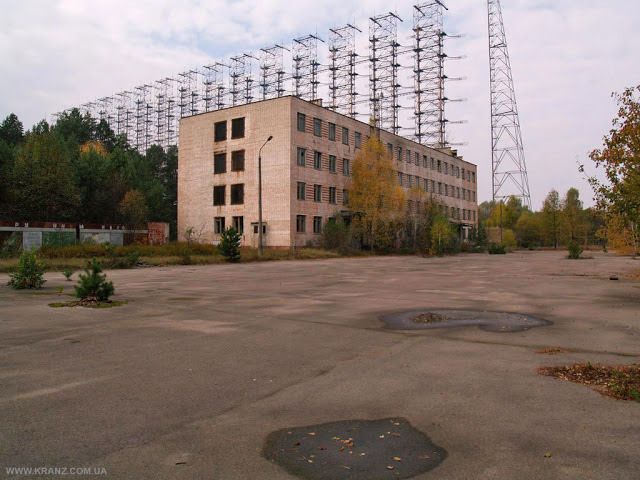 Not only did it put the now ghost town of Pripyat on the map for all the wrong reasons, it also exposed the world to what was really at this site in Ukraine — the dreaded Duga radar, also known as the Russian Woodpecker. A Soviet engineering and scientific feat of its time, the Russian Woodpecker was an over-the-horizon radar system designed to provide early detection of an intercontinental ballistic missile attack. […]Air traffic controls, television and radio broadcasters would be irked by the mysterious pecking noises it emitted, hence its nickname, the Russian Woodpecker. Built just outside the city of Pripyat, it was completely off limits and unknown to outsiders. This entry was posted in News, Nostalgia, Radio History, Shortwave Radio and tagged Duga-3, Ian P, The Russian Woodpecker, Woodpecker on August 10, 2017 by Thomas.